Improving daily staff scheduling through Health Current Alerts? While it’s not the primary benefit, Jason Smidt, Chief Information Officer for Arizona Home Care says that improving staff scheduling is an unexpected benefit of the Health Current service. 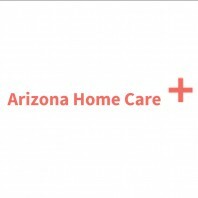 Arizona Home Care is the largest locally owned home health agency in the Valley, providing home health care for some 550 acute home care cases throughout the Phoenix Valley and Maricopa County, including cases such as patients with chronic heart failure, patients with post-surgical wounds or patients who need home infusion and specialty pharmacy services. Each day, Arizona Home Care sends nurses and other professionals to patient homes to provide services. Before they began receiving Alerts, it was common for a staff member to travel to a patient’s home only to find the patient not at home but at the hospital. With these Alerts, staff is saving time and human resources by obtaining this information before they leave for a home care visit. Now they can reschedule prior to visiting a patient who is not home. While the Alerts assist with care coordination, typically their first use of the HIE is when they are onboarding new home health patients and they are able to get more complete information on these patients through the HIE portal, according to Smidt. “Health Current seems to have the information through the HIE portal that was missing in the past,” he said. Smidt says that there is still a lot more to learn about the best ways to use information from the HIE. “As a fairly new participant of Health Current, we are learning a lot every day and are eager to implement new work flow processes using the HIE,” he said.